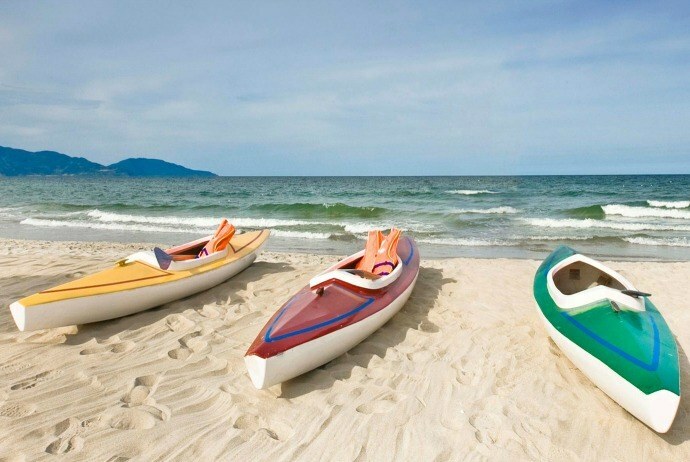 Having a coastline of more than 2025 miles, Vietnam (Việt Nam) has a lot of beautiful beaches as well as coves with the fine white sandy beaches plus with clear waters which are ideal for water sports such as scuba diving. Sunbathing and sunset watching, there is nothing more wonderful. To help you figure out how beautiful beaches in Vietnam are, here we from Vina.com list down 20 out of most beautiful beaches in Vietnam voted by Western magazines. Long Beach is located in the northwest of Phu Quoc island. This beach is a clean, beautiful and still wild. Having a coastline of 20km in length, Long Beach is considered a haven with sunshine, cool water and pristine quiet space, and an ideal place for sunbathing, swimming, and enjoying the sunset. 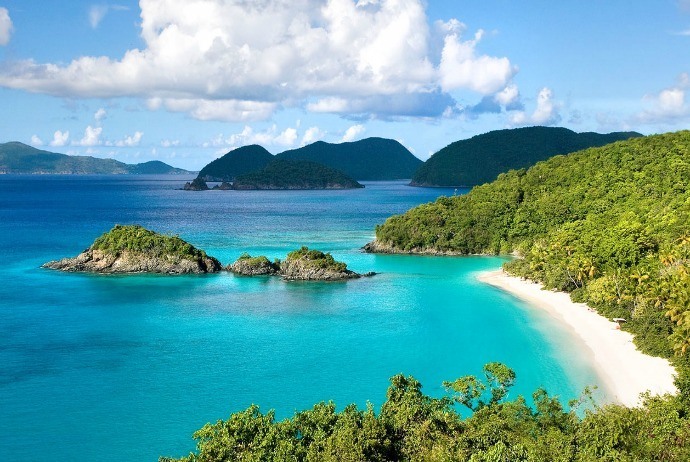 In 2009, this beach was voted as the top 1 among 13 most pristine and beautiful beaches in the world. One of the brightest candidates for the most beautiful beaches on Phu Quoc Island is Star Beach with brilliant white sands and charming tranquil blue water. This is an ideal place for kayaking and diving. Star Beach is also considered a tourist attraction that couples or families love due to the private and quiet space which is suitable for relaxation. Located in Nha Trang Bay (Vinh Nha Trang), known as the “Champion” of Vietnam sea, Nha Trang beach is famous among tourists, both domestic and international, for years. Being the most beautiful beach in Vietnam with blue water, white sand stretching endlessly, Nha Trang beach is one of 99 the most beautiful beaches voted by the National Geographic magazine of US in 2010. Nha Trang beach with offshore islands is a quiet heaven for tourists to visit and indulge a day with only sun, wind and waves. Along the coast of Nha Trang beach, there are kite areas where tourists could freely have entertainments for fun. 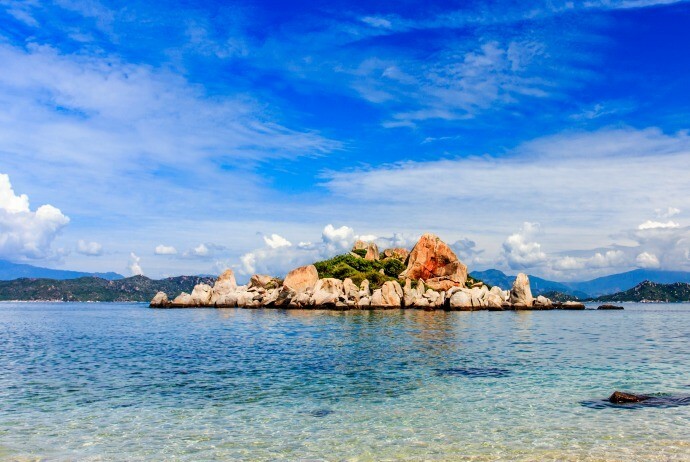 Hon Chong in Nha Trang is one of attractive places in this coastal city, with large rocks lying piled up on each other but not being able to be pushed by waves and storms. Jutting into the sea, the space of Hon Chong is nearly separated from the space of bustling streets. This is considered one of the most beautiful spot for viewing the whole city. Ho Coc beach is a pristine area with newly exploited blue sea, wide beach, with gentle slope and especially romantic thanks to the rocks located on the beach, creating white foaming sea waves. Some people said that Ho Coc beach is beautiful as a virginal young woman. Swimming here brings to tourists an interesting feeling like being lost in the nature, indulging in the deep blue sea water to enjoy untouched things of mountains and sea. 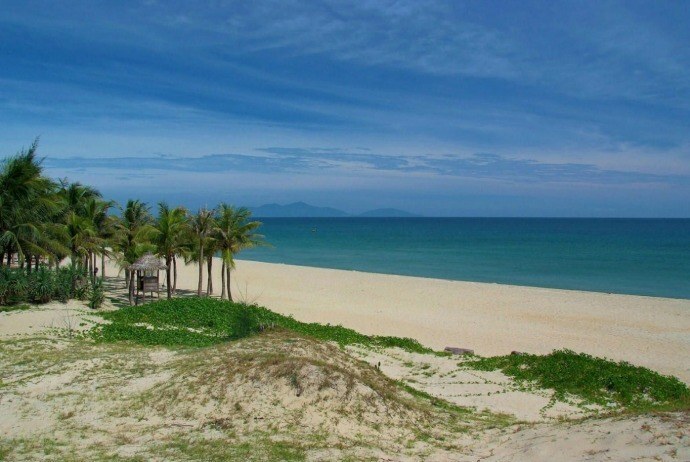 Khanh Hoa is endowed with a lot of beautiful beaches. Unlike Nha Trang, Doc Let (Dốc Lết), Long Beach (Bãi Dài)… Dai Lanh is a relatively unspoiled beaches, has not been affected by humans much yet. 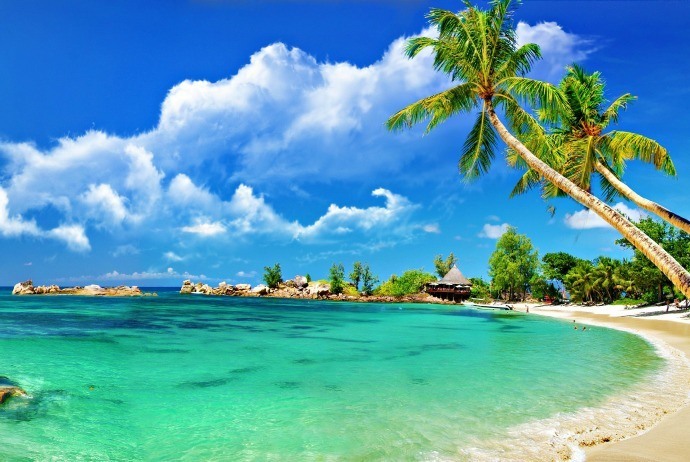 Dai lanh beach has pure white sand and blue sea which can be seen till the bottom. It also allows people to swim offshore. There is also a source of fresh water that is merging into the sea and not dry all year round. In ancient time, Dai Lanh’s scenery was listed as one of the most beautiful landscape in the country, with fine white sand, slapping waves, bustling fishing villages and breathtaking landscapes. My Khe Beach is located on the Highway 24B, about 15km from Quang Ngai town, 16 km from Dung Quat port and close to Sa Ky (Sa Kỳ) port, belonged to Co Luy (Cổ Luỹ) village, Tinh Khe (Tịnh Khê) commune, Son Tinh (Sơn Tịnh) district, Quang Ngai (Quảng Ngãi) province. My Khe Beach impresses tourists by quiet, tranquil seashores stretching about 7km, sheltered by pine forests. In addition to relaxation, bathing, you could also have an opportunity to visit the memorial area of Son My (Sơn Mỹ) War Remnants. Cua Dai Beach – the most beautiful beach in Quang Nam (Quảng Nam) with far away long sandy beaches, a slight waves swept everything away in the sunny afternoon, a “young and lively” beauty .The tourism area of Cua Dai is about 5km to the east of Hoi An town, is where Thu Bon river empties into the sea. 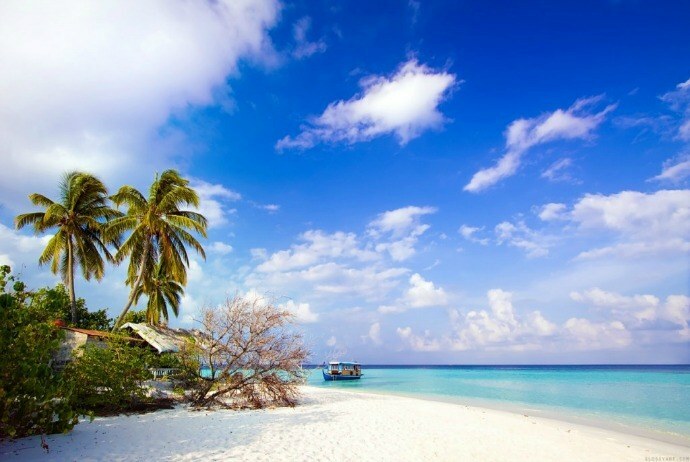 It is great with fine white sandy beaches, blue water, ecological garden, fishing villages with lush green coconut trees. Cua Dai is considered a charming girl of the mother Hoi An. 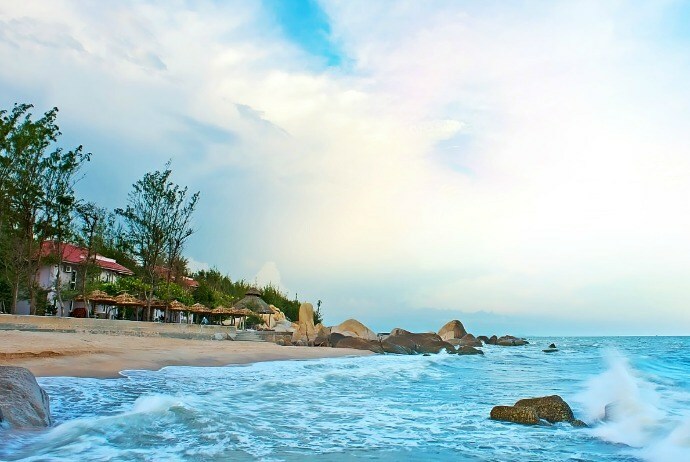 The beach has a length of about 4 km with fresh natural landscape and quite diverse vegetation, about 3km to the east from the center of Hoi An ancient town, near the ancient trading port of Hoi An. The most special feature of An Bang beach is the soft and smooth layer of sand and mild waves, bringing tender and soft feeling. As the gateway to welcome domestic and international visitors to Hoi An, the tourism potential of this beach is very huge. 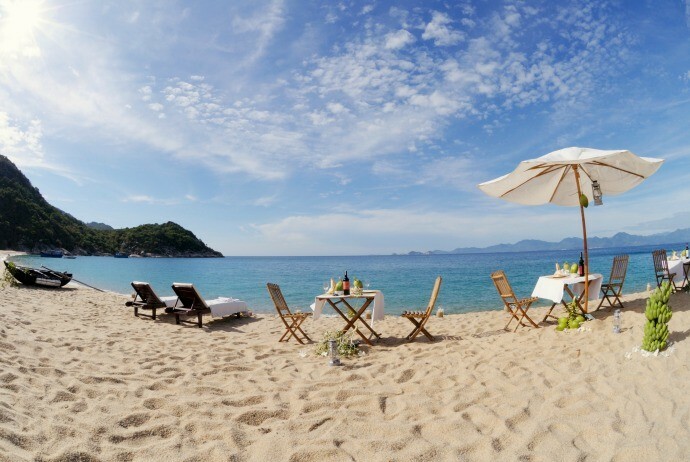 Con Dao is an island located isolated off the coast of Vietnam. However, it remained unspoiled, mysterious, and magically beautiful natural landscapes, which visitors love to explore. The white sand beaches and blue sea water outreaching till the horizon is the first thing yo will see when visiting Con Dao, especially Dam Trau (Đầm Trấu) Beach – the most beautiful beach here. In 2011, the travel magazine Travel And Leisure has voted Con Dao as one of 20 islands containing the most mysteries in the world and this place has caught the “eye” of international travel professionals due to many attractive sights. 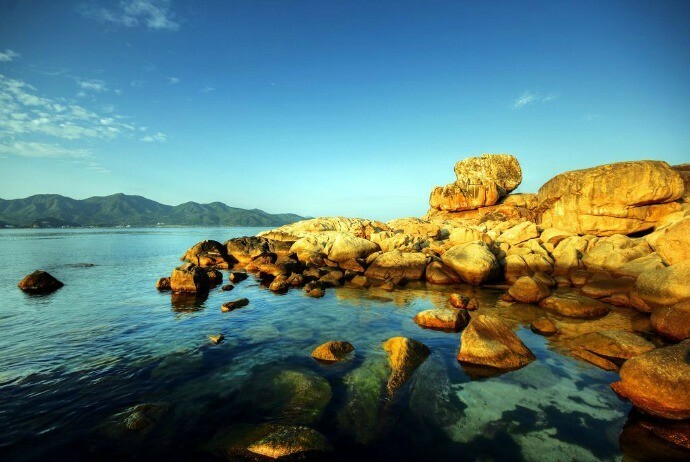 Ca Na Beach is located in Ninh Thuan Province, South Central of Vietnam. 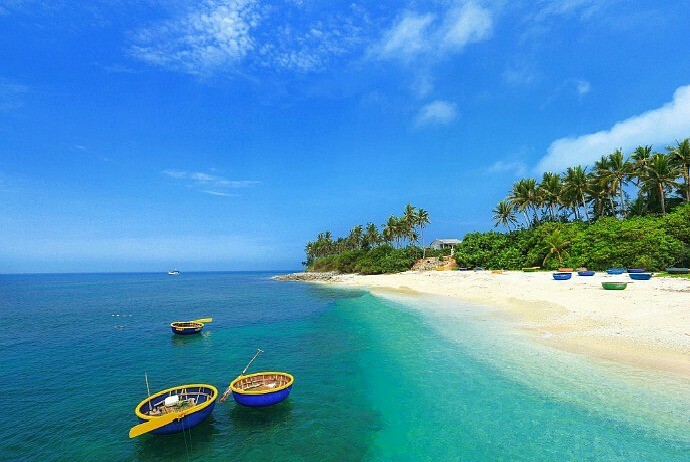 This is one of the beautiful beaches of Vietnam, is the sea tourism area of Ninh Thuan. The sea water in this area is clear and blue with white sand located adjacent to rocky area reaching out the sea. Nearby this beach, there is Lao island, an inhabited area of many species of seabirds. Tourist services here include hotels and restaurants with seafood. 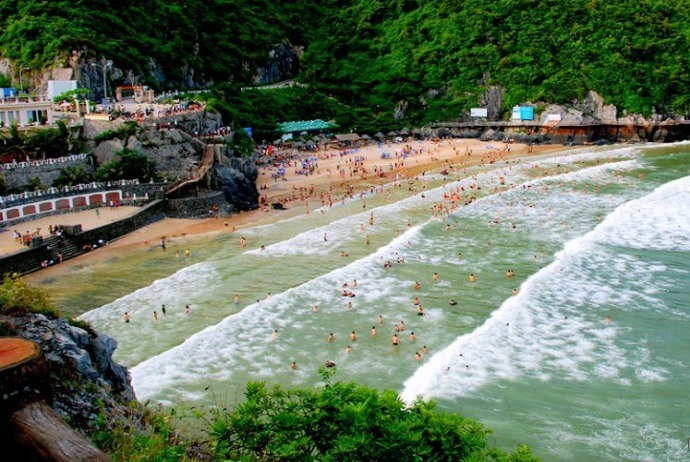 Non Nuoc Beach belongs to the coastline of Danang (Đà Nẵng), where was ever voted by the leading Forbes magazine, America as 1 in 6 most beautiful beaches on the planet, located adjacent to Ngu Hanh Son (Ngũ Hành Sơn0, about 8km to the South East of Da Nang City center. 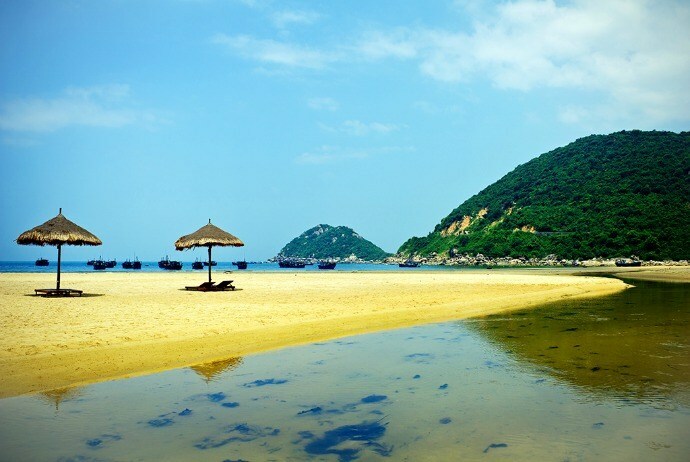 Non Nuoc Beach stretches over 5km like a green arc cuddling 5 mountains, with fine white sand, gentle slope, blue water. 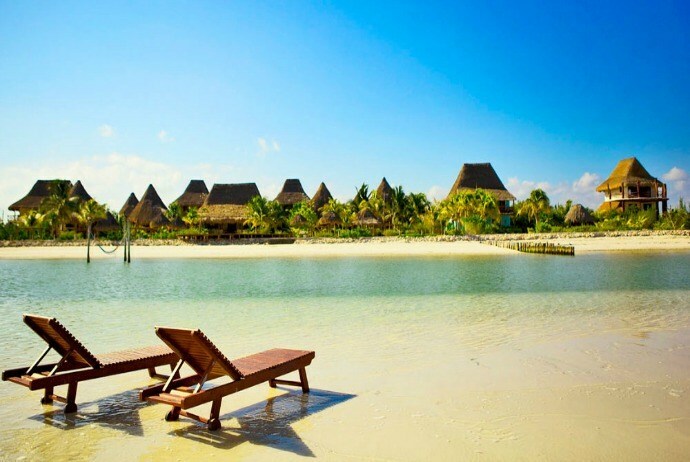 It has sunny climate with warm winter and cool summer. In Cat Ba, there are hundreds of large and small beaches, but the Cat Co beach cluster – Cat Co 1, 2, 3 – is where most tourists arrive thanks to its diversifying natural landscapes. The Cat Co 1 is the widest and most beautiful, located covering the mountains, year-round waves, fresh air and clear water, is where a lot of visitors choose to relax and swim. Cat Co 2 beach is tranquil and a bit mysterious, while Cat Co 3 carries relatively modern colors. Doi Duong is the name of a bathing beach, a park located in the city center of Phan Thiet. If the Ham Tien (Hàm Tiến) – Mui Ne (Mũi Né) area is a private beach of resorts and is just for their guests, Doi Duong is a public beach open to the public. The reason for its name is because in the paste, this place is a large area in which there were a lot of poplar trees planted. However, the current plantation area has shrunk a lot because most of the land is for the Novotel Phan Thiet Hotel. Doi Duong beach is now officially called as Doi Duong (Đồi Dương) Park. 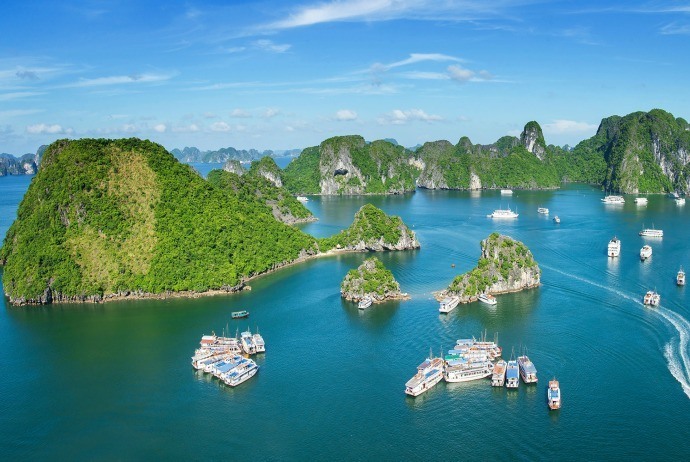 Halong Bay Magazine was hailed by Huffington Post, US as one of 10 sites with the most impressive coastline on the planet.